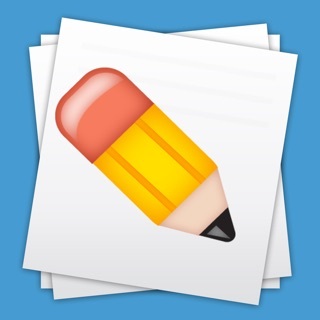 ** Featured by Apple in the "What's Hot" and "New and Noteworthy" section of the iTunes App Store. 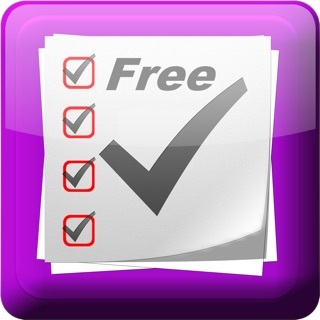 "HabitMaster is the fourth habit tracking software I have tried, and the only one I will continue to use. Its ease-of-use, backtracking and solidity make it a winner." HabitMaster is a simple but powerful app that helps you build positive habits in your life. 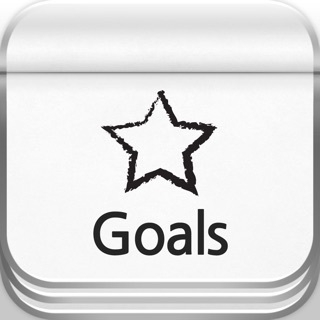 Be it a daily, weekly, or monthly habit, HabitMaster helps you track your progress and maintain your motivation. 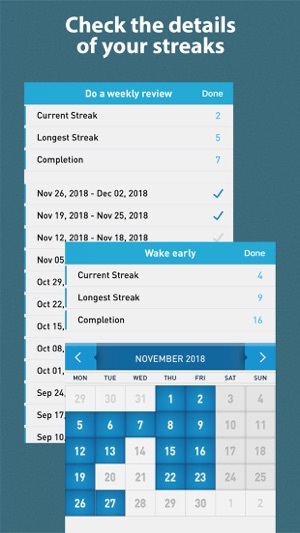 For each habit, you can easily see your current and longest streak. Your goal is to make your current streak as long as possible. Aim not to break the streak and you will automatically keep the habit. * Add the daily, weekly, and monthly habits that you want to build. 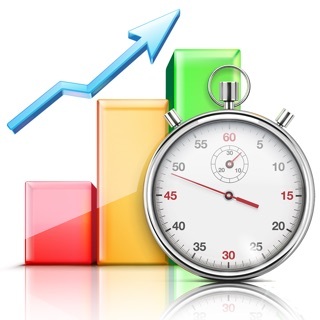 * Track how you maintain the habits. 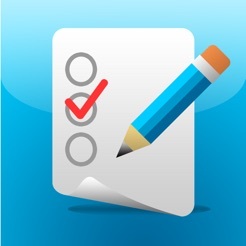 You can give a check mark to a habit whenever you do it. If you forgot, you can still give the check mark anytime you want. * For daily habits, choose the days which are okay to skip. Your streak will continue through these days. So if you choose not to do the habit on the weekend, for example, you won’t break the streak. * See how good you are in maintaining the habits. For each habit, you can see the current streak and longest streak. You can also see the details of the streak. This way you can easily see when you succeeded and when you didn’t. * Set alerts to remind you of doing a habit. 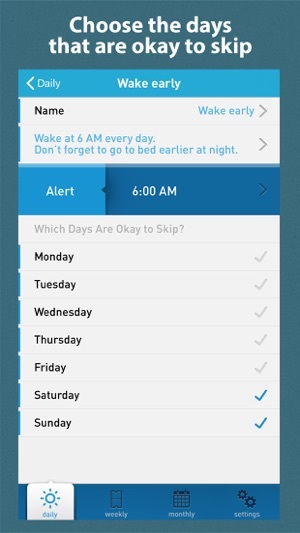 The alerts will appear automatically according to the type of the habit (daily, weekly, or monthly). 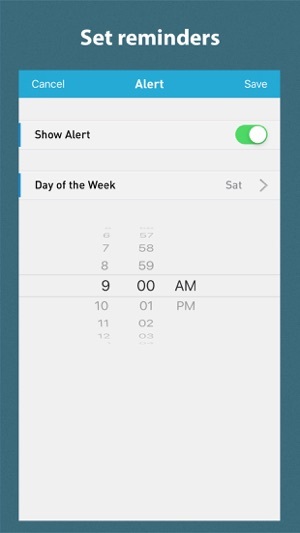 For daily habits, you can also choose whether to show the alert on the days that are okay to skip. * Sync data between your devices. 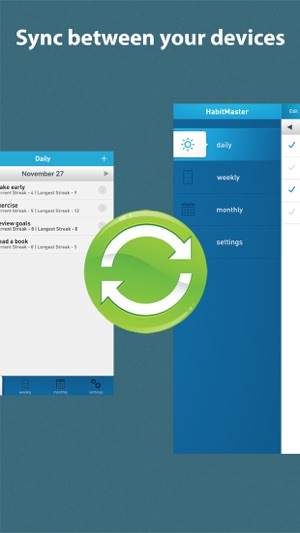 Create a free Dropbox account and then sync your data between your devices. For instance, you can enter your progress on your iPhone and then sync the data with your iPad. You can set the app to sync automatically. * Set a passcode to protect your data. 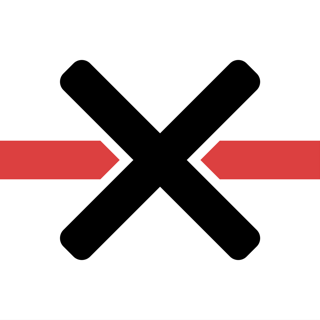 UPDATE 1/3/19: Below bugs fixed long ago, but syncing and linking to Dropbox are still failing even after yesterday’s update. As mentioned by others, the streaks aren't working. Also, a new big bug has one unable to edit older checks on tasks near the bottom of your list. 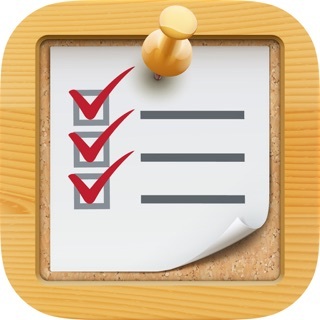 Please fix these two huge bugs, and the app could become the best checklist app. I have used many habit tracking apps. And every time I come back to this one. It is easy to use. 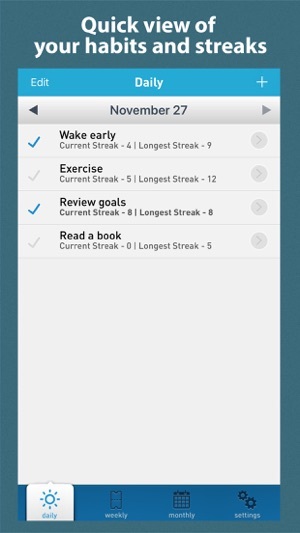 Create a habit, check when you complete the habit, and watch your streaks fill an entire month full of blue boxes. I love the fact that it has daily, weekly, and monthly habits. I use it both for business and personal goals. This app can change the direction of your life...if you’ll just commit to using it. Very easy to use, simple and powerful. Less is definitely more when it comes to creating new habits.